On October 11, 1935, Franchot and Joan, although being watched closely by the press, managed to secretly marry in New York. 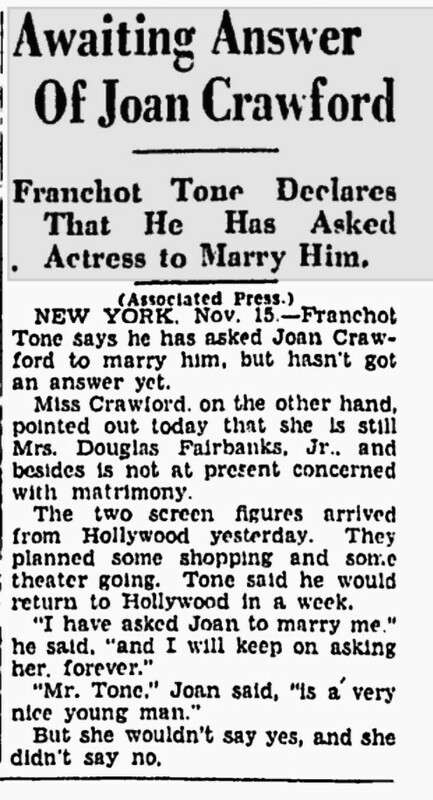 Franchot had been eager to marry Joan for two years. 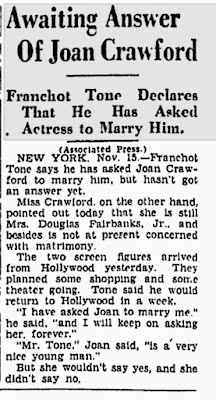 In a 1933 Ottawa Citizen article, Franchot indicated that he would not give up on marrying Joan, that he would propose forever. 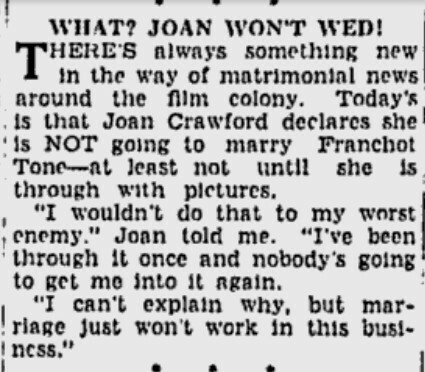 In 1934, Joan, recently divorced from Douglas Fairbanks, Jr., explained that she wouldn't marry Franchot, because "marriage just won't work in this business". Sadly, Joan was eventually right, but there is no denying that these two were madly in love at the start and deeply respectful of each other after the end (check back later this week for more on their relationship after the divorce). By fun coincidence, October 11th also happens to be my wedding anniversary, so Joan and Franchot's union is easy to remember! "Awaiting Answer of Joan Crawford." Ottawa Citizen. November 16, 1933. "What? Joan Won't Wed?" Ottawa Citizen. April 9, 1934. 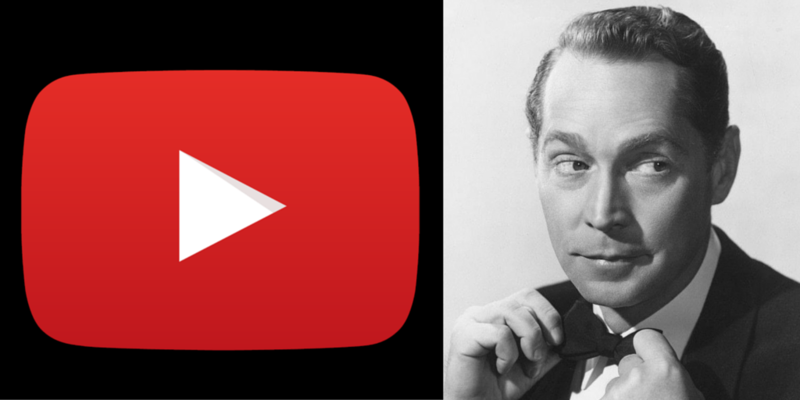 Finding Franchot is a blog dedicated to the life and work of Oscar-nominated actor Franchot Tone. 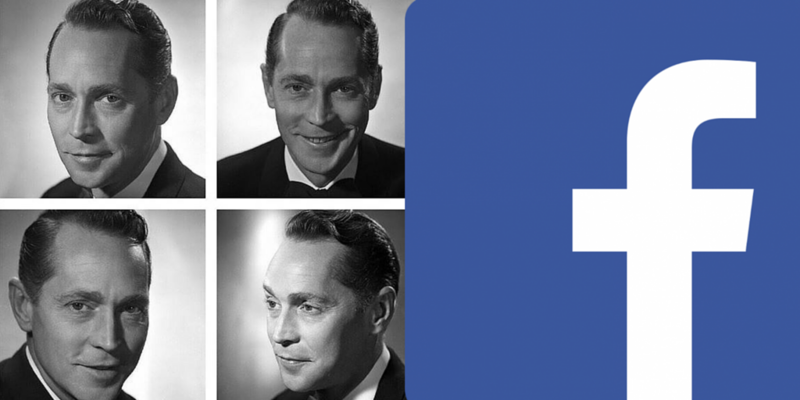 The author is a Franchot aficionado who has been blogging her research of Franchot Tone since April 2015. The full Finding Franchot fansite can be found at www.findingfranchot.com. 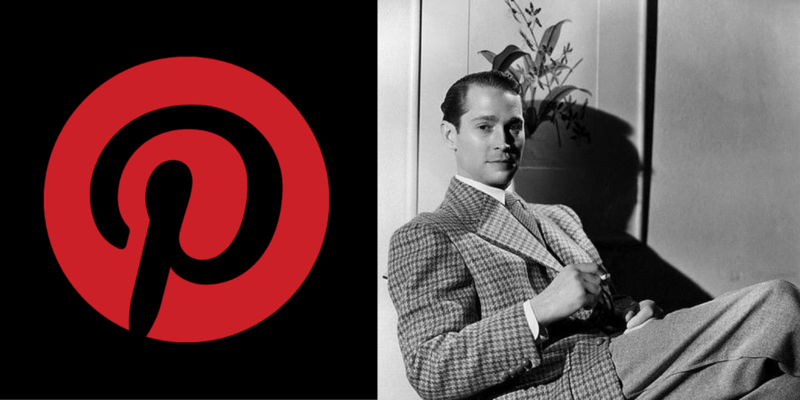 Finding Franchot is not affiliated with the Franchot Tone estate, but the intent has always been to provide accurate and well-rounded information on an often underappreciated actor who possessed and presented a rare and wide-range of talent. Unless otherwise noted, all images are my own screenshots. All film summaries are my own. 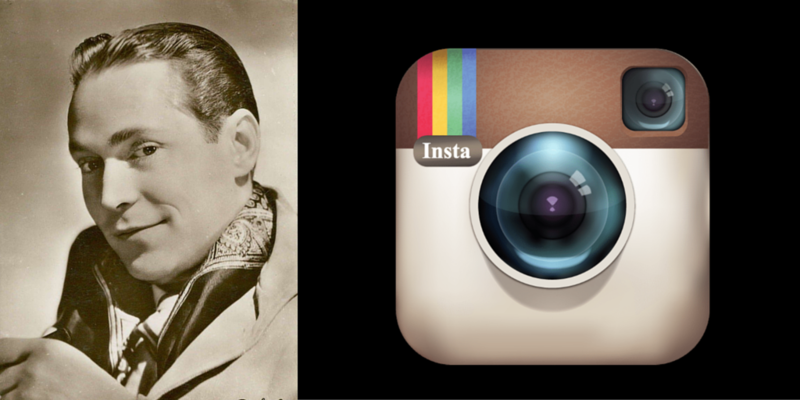 ©2015-2016 Finding Franchot Blog. www.franchottone.blogspot.com. Simple theme. Powered by Blogger.